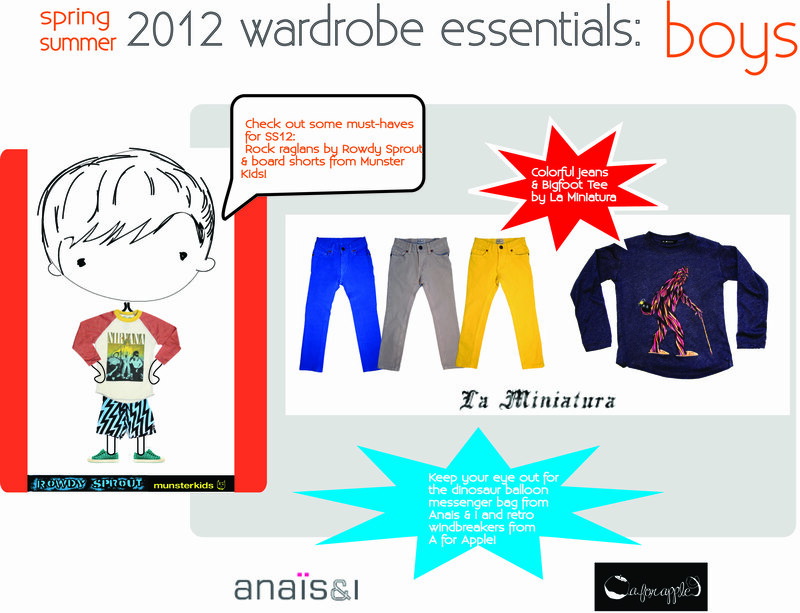 Little Style Finder was lucky enough to have style guru, Jennifer Cattaui share her Spring/Summer 2012 wardrobe essentials IT LIST for both boys and girls. What items are on your IT LIST? 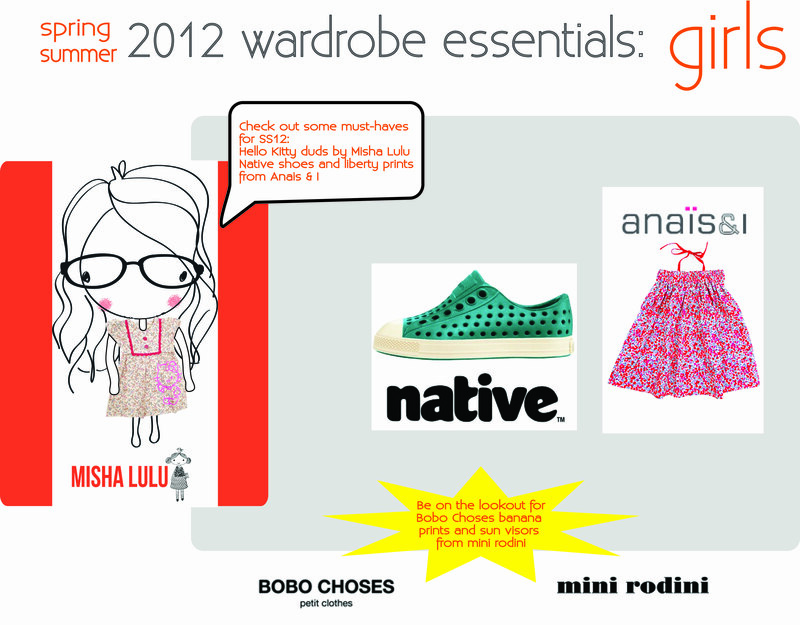 This entry was posted in accessories, interviews, kids fashion, source for style, style and tagged a for apple, anais&I, babesta, bobo choses, la miniatura, Little Style Finder, mini rodini, misha lulu, munster kids, must-haves, native shoes, rowdy spouts, spring/summer 2012, wardrobe essentials by Little Style Finder. Bookmark the permalink.